Celebrate Botanic Gardens Day by immersing yourself in the natural surroundings as we walk along Eucalypt Walk to Bloodwood Garden. During this journey, learn about sap and look down microscopes to see flowers, leaves and bark close up. 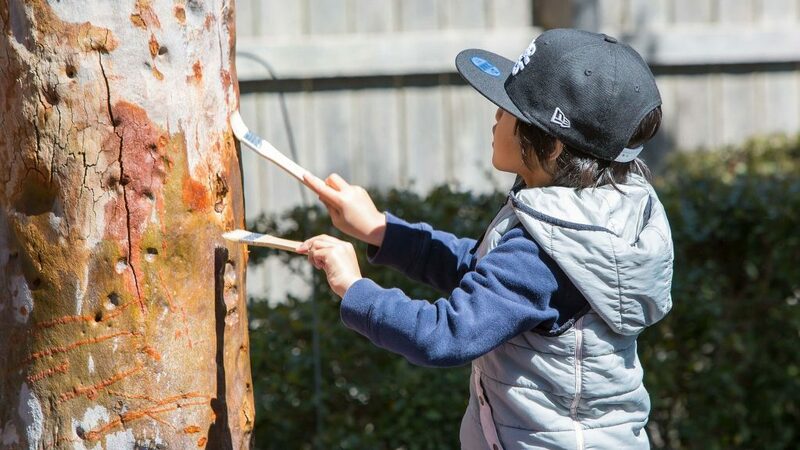 Then get crafty with some leaf rubbing, and paint trees with water to see the colours pop. While you’re there, hug a tree and make a friend in the Gardens.